Here is an excerpt from an article written by Eric G. Kail for the Harvard Business Review blog. To read the complete article, check out other articles and resources, and/or sign up for a free subscription to Harvard Business Review’s Daily Alerts, please click here. This is the third in a series on the four aspects of VUCA, a framework used by the U.S. military to describe the environment in terms of volatility, uncertainty, complexity, and ambiguity. Our complex environment demands a perspective that goes beyond viewing threats and opportunities as collective; we must see them as interactive. Leading through complexity means thinking non-linearly. You’ve probably heard that before, but let’s use a metaphor to get after what it really means. Picture a large marshmallow sitting atop a small round table. The marshmallow is so large that it’s falling over the edges of the table and you, me, and a few others have to keep it on the table. Now a marshmallow may not sound complex, but this one on our table certainly presents us with complexity. If any one of us is concerned with only the part of the marshmallow directly in front of us we may push it back on to the table, but by doing so we make our collective task harder for our team mates when our uncoordinated attempts push the marshmallow further off the other side of the table. Complexity can be overwhelming and discouraging, or a source of our greatest reflection and growth, so I’ll give this marshmallow some life. I was once responsible for coordinating logistics for a large military unit in combat, and a quick glance at my metrics of success labeled me an absolute failure. Our unit was nearly out of fuel, ammunition, water, food, and vehicle repair parts (basically all the stuff you need to fight a war). To make matters worse, our higher headquarters could not push any supplies to us because of weather and sheer distance. One more thing we didn’t have: the luxury of calling a time out. Replace the weather with time zones and combat with the free market, and I’m sure many of you have been in my shoes, faced with complex challenges that cannot be dealt with separately with little or no help from our environment. Complexity can leave us frustrated, feeling solely responsible for success or failure, while at the same time feeling alive in the critical moment. I’ll share some things that have helped me lead more effectively in a complex environment. : The same competitive drive that makes us so successful may sometimes get in our way. The most important characteristics I look for in high-potential young military officers are their ability to see the big picture and to lead their peers to achieve more together than they could individually. I once commanded a unit that produced impressive results and statistics. After my boss presented me and my soldiers with yet another award, he pulled me aside and said “You just don’t get it do you? I don’t need one great subordinate unit and three average ones; I need four very good ones. So start helping out your peers, and you might even learn something from them as well.” A very humbling experience, but it made me a better leader and an even better developer of other leaders. I learned to take pride in the accomplishments of my peers, and it didn’t cost me any professional ground. And I found out I needed their help more than I had originally thought. 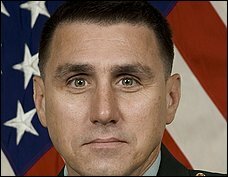 Colonel Eric G. Kail, commissioned as an artillery officer in the U.S. Army in 1988, has commanded multiple organizations and served at several levels of staff responsibility in conventional and special operations units.